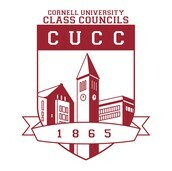 Each year, Cornell University Class Councils hosts a Class Of Awards Ceremony! This award is meant to recognize outstanding members of a class for their achievements in categories such as but not limited to: service, academics, athleticism, diversity and inclusion, leadership, entrepreneurship, etc. Nominate extraordinary members of your class for a class award! This form is due at 4:59pm on April 23rd! Can’t make it out to Chicago this summer for Lollapalooza? Want to experience the magic right here in our backyard, and celebrate the coming of summer? Cornell University Class Councils is proud to host our second annual CORNELL-A-PALOOZA, featuring local Cornellian artists and performance groups. This FREE event will include games, food, performances, festivities, and more to be announced soon. There will be a myriad of student performances that we will be revealing in the weeks leading up to the event. Everything you need to know to eat well, live long and impress your friends. Join a hands-on gardening workshop brought to you by the 2018 Class Council, Hortus Forum, and Prof. Steve Reiners, and bring back your own plant to make your room and life greener! Plants, tools and containers all provided. Sign-up limit: 30 people.